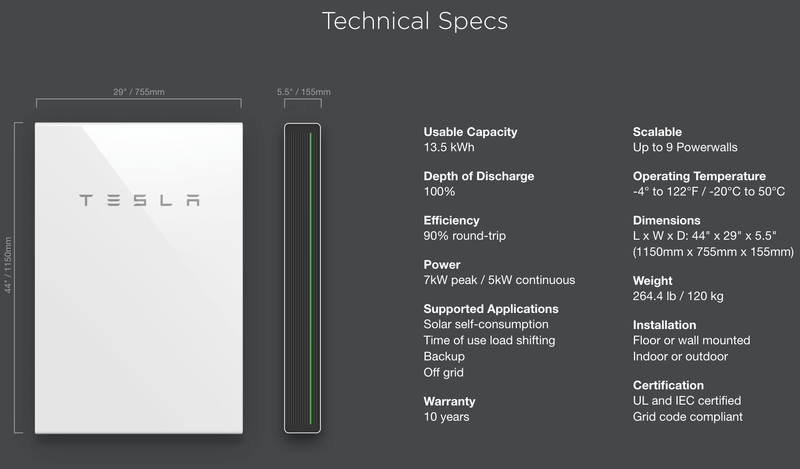 After Tesla unveiled and started taking orders for Powerwall 2 almost a year ago, the deployment of the company’s new home battery pack has been fairly slow. Now it looks like it’s finally starting to accelerate as the company dominates the market in California and starts to expand. We recently reported on the Powerwall 2 making its way to Vermont and Minnesota with the first few installations, but now the bigger Californian market is also getting more installations. 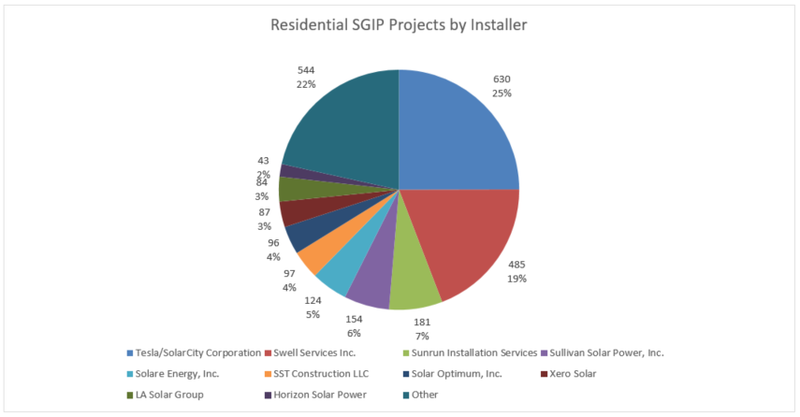 California’s Self-Generation Incentive Program (SGIP), which aims to accelerate the deployment of distributed energy storage to stabilize the grid, enables us to keep track of new installations and it makes one thing clear; Tesla is leading the industry with no close second. 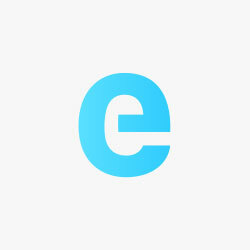 That’s since the program launched in May, but it also includes a backlog of projects that were initiated earlier. The SGIP approval process is still a signficant bottleneck for the deployment of residential energy storage, like the Powerwall 2. Tesla installed several of those projects themselves, but they also distribute and install Powerwalls through other companies and Swell Services lead the pack in this segment. Swell told Electrek that they started installing the Powerwall 2 a few months ago and business is now starting to ramp up, though the company can’t confirm metrics beyond what is released through SGIP. Swell offers energy solutions using the Powerwall 2 and even offers to build off-grid systems using Tesla’s energy storage solution. As we reported when Tesla first launched the product last year, it’s 14 kWh capacity at this price point is a game changer in the residential energy storage market and now it’s starting to show in the deployment of the product. It’s still a somewhat expensive product which is why Tesla is focusing deliveries in markets with high electricity rates and where residential solar has a high penetration rate. We expect that Powerwall deliveries and installations to accelerate in the coming weeks as Tesla is expected to start deliveries of Powerwalls won through its referral program over the last year. Tesla also delivered the Powerwall 2 in other markets in Europe and Australia, where a homeowner recently shared his Powerwall 2 ownership experience.